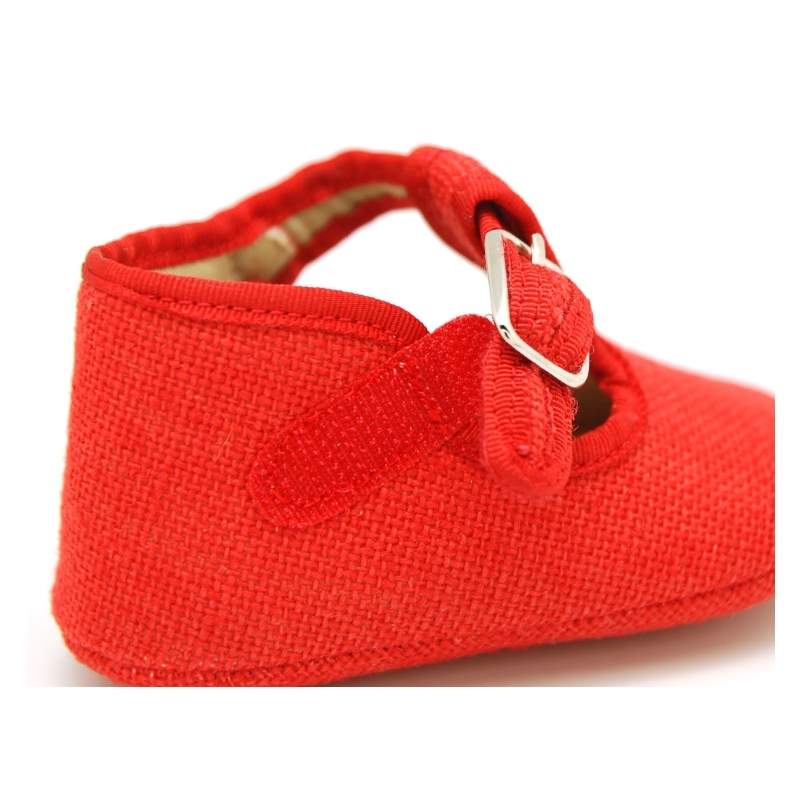 > Babies>Dress Shoes>LINEN canvas little T-strap shoes for babies. 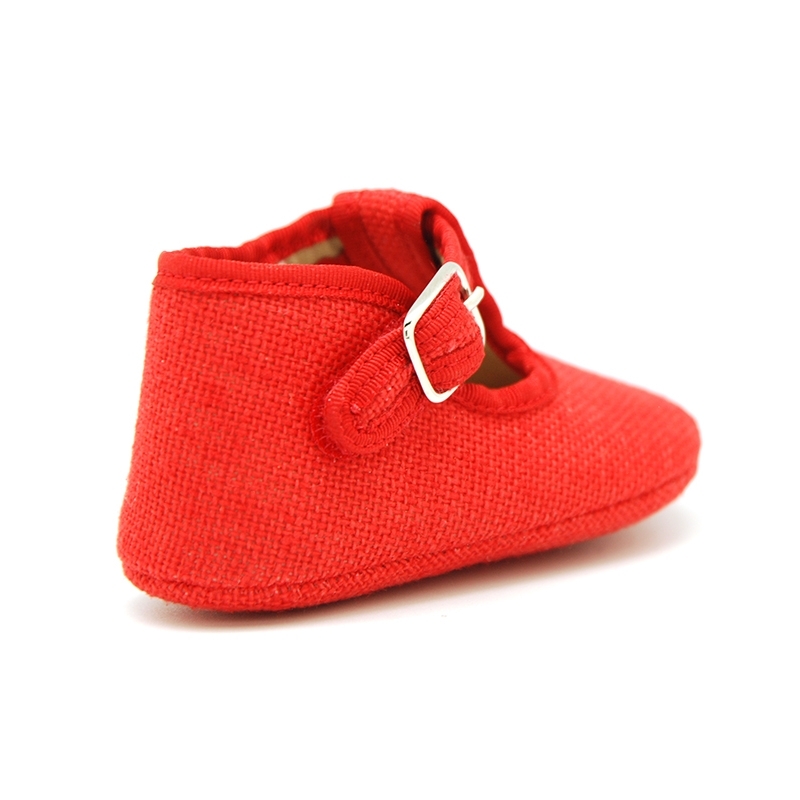 LINEN canvas little T-strap shoes for babies. 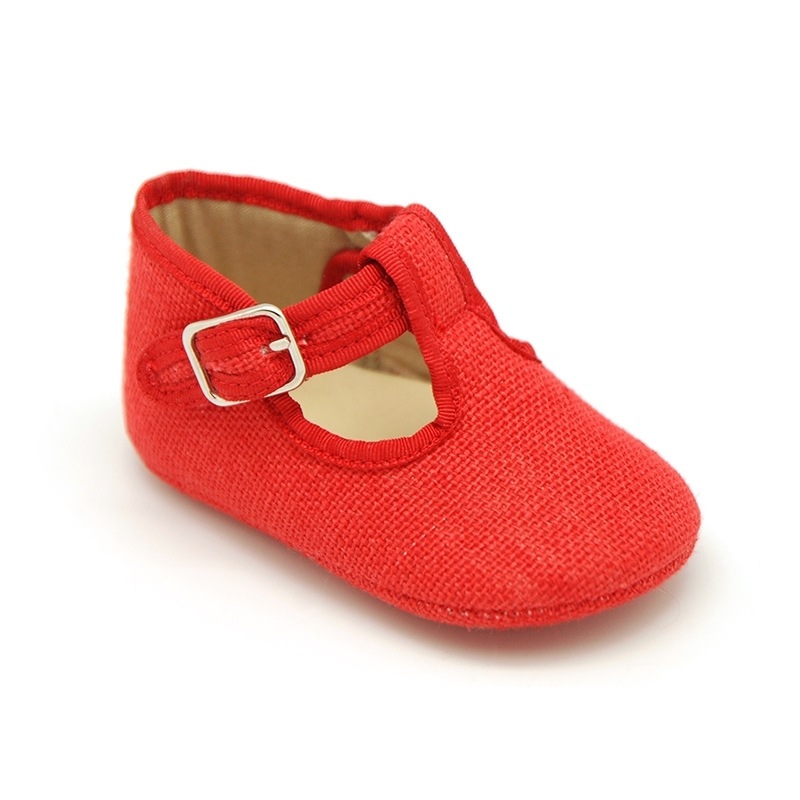 LINEN canvas classic little T-strap shoes for babies with velcro and buckle fastening. 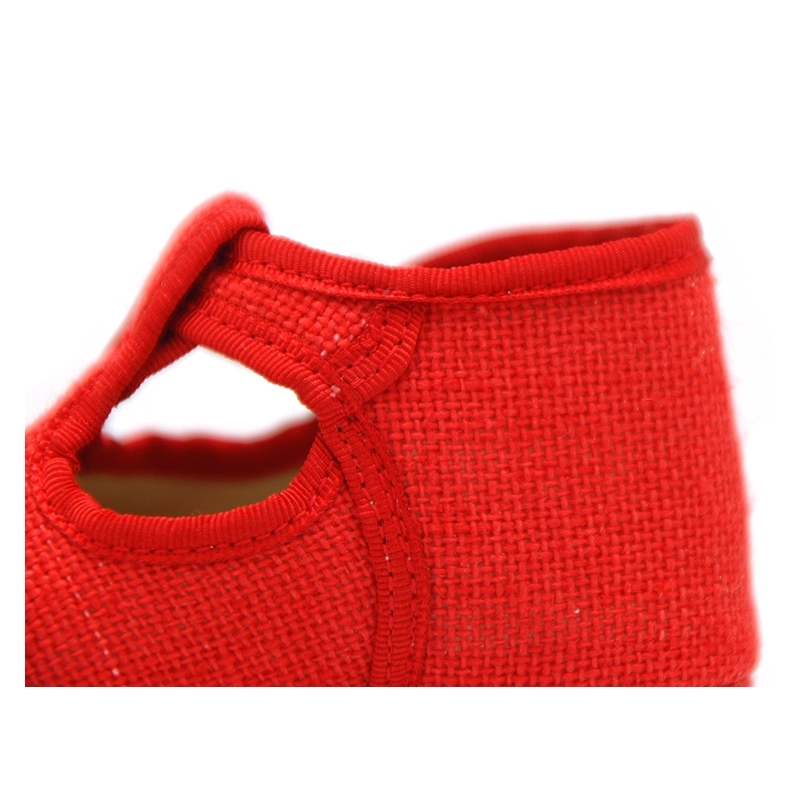 More info about LINEN canvas little T-strap shoes for babies. 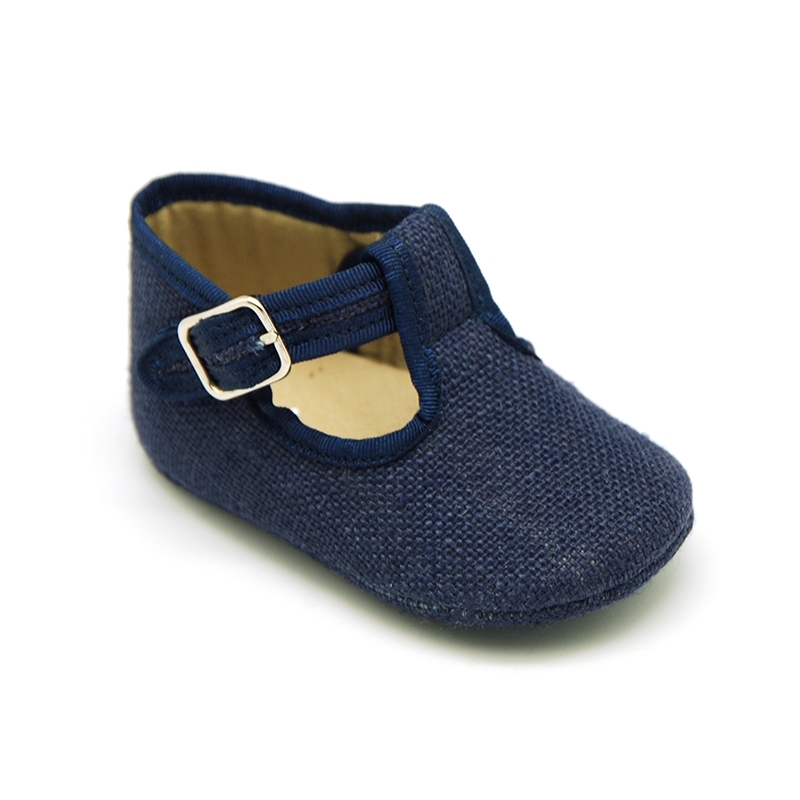 Classic little T-Strap shoes for babies and pre-walkers with closure with velcro strap and buckle fastening in LINEN canvas to dress. Made up of natural 100% high quality natural linen cotton canvas. Really smart to dress this season!. Is a new basic model very classy for every occasion or day a day basis this spring-summer. Very soft linen canvas for babies. With double closure with velcro strap for a better comfort and buckle fastening as well for a better grip. Available in 5 colors. Range of sizes: from 17 Euro size up to 19 Euro size. 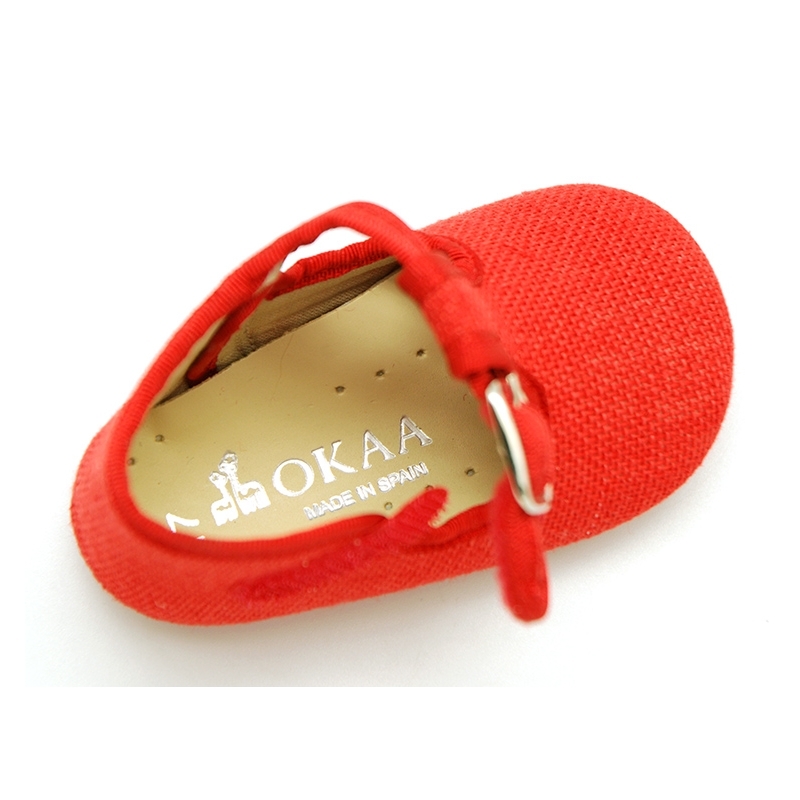 Data sheet about LINEN canvas little T-strap shoes for babies.